Nita Microtek offers dedicated hosting solutions through vide range of branded servers. Our dedicated servers are outfitted with server grade hardware to ensure the stability and longevity of your hosted data. Every dedicated server we offer has tremendous capacity to be upgraded and adjusted to fit your business’s exact requirements. 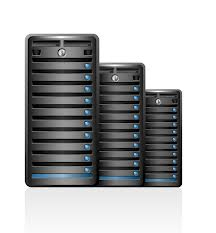 Our dedicated servers are connected to our world class network and hosted in our state of the art data centers. Servers are provisioned quickly. Assistance is provided via our well trained technical support . All our dedicated servers are backed by our 99.9% SLA.